By the time this piece of criticism publishes, Close will have started rehearsals for her upcoming role on Broadway as Joan of Arc’s mom in Mother of the Maid. When we spoke at the beginning of August (a bit early in the cinematic calendar year to start promoting a role for a potential Oscar nomination), she was in San Francisco with director Björn Runge for the screening of their new movie, The Wife. The six-time Academy Award nominee who, unlike her contemporary Meryl Streep, has never won one of those golden statues, says she’ll be able to tune out Oscar prognosticators because she’ll be consumed with a challenging new role—the mother of a saint. "After Joan was killed—I think she was 80 years old—she pled for Joan in front of the Pope to get her daughter reinstated [in the church]. This is an illiterate peasant woman,” Close says. 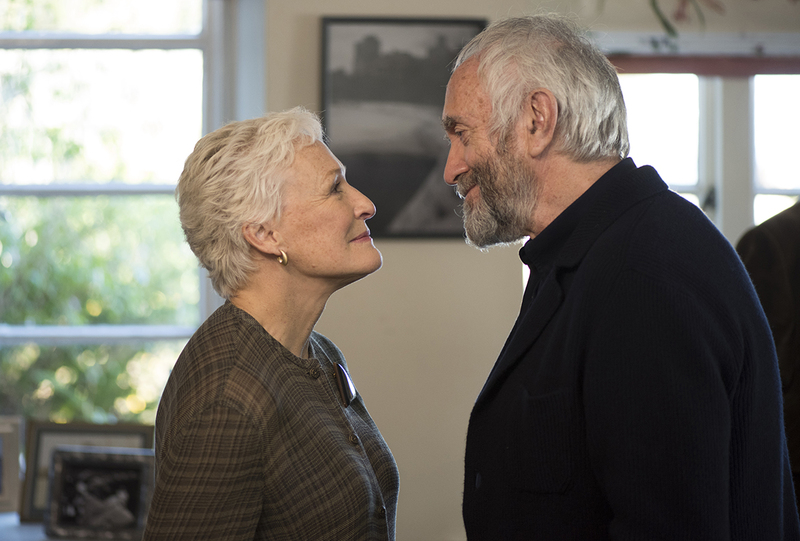 That extraordinary strain of devotion also runs through the veins of another Joan, Close's role of Joan Castleman in The Wife, a woman married to a revered novelist (Jonathan Pryce). Jane Anderson, who wrote Mother of the Maid, also adapted The Wife from Meg Wolitzer’s novel. Close has excelled in roles that exact some form of self-sacrifice from the character. In The Big Chill, she gave her husband permission to sleep with an unattached girlfriend longing for a child. Later, a crying scene in the shower reveals the cost of her character’s apparent generosity and stoicism—it’s a heaving, full-bodied, soul-consuming cry. Her Iris Gaines from The Natural has Robert Redford’s child and then, years later, given the opportunity to tell him about their son, doesn’t. Thematically, The Wife belongs to Close's "melodramatic realism" category of work. 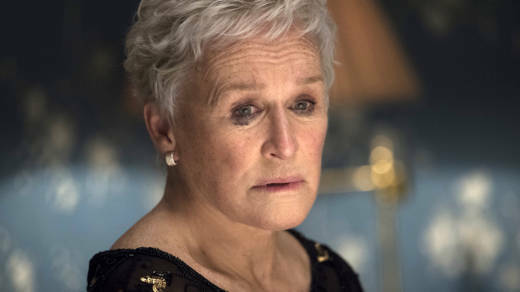 It's a satisfying drama that provides the actress with several trenchant monologues, but the role isn't as memorable as the ones she enjoyed in The World According to Garp or Fatal Attraction. 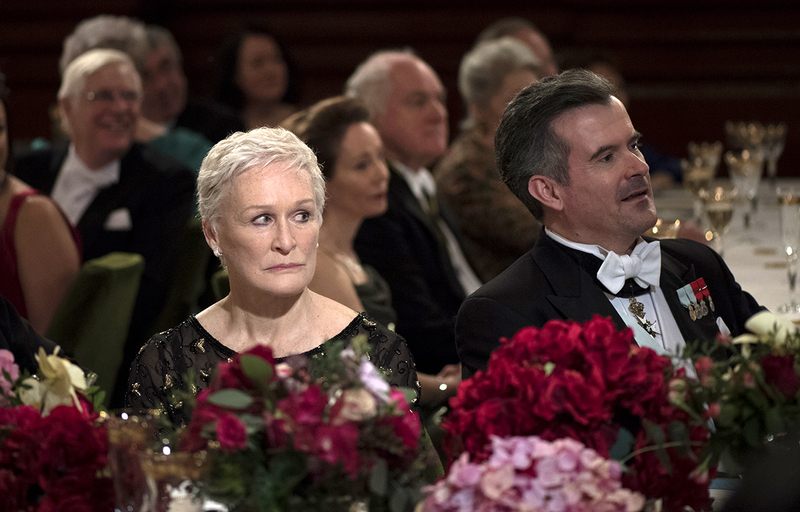 In The Wife, co-stars Pryce and Christian Slater embody variations on male aggression and narcissism, and Anderson’s script makes Close the most sympathetic character on screen without asking her to pander to the audience. At this point in her career, Close isn’t after our sympathy. Her approach to character development, she says, changed way back in 1984 when she starred in and won a Tony Award for Tom Stoppard’s The Real Thing. “I remember being directed by Mike Nichols,” she recalls. “My character, the wife, was very difficult, because she was an inarticulate, but right character in a highly articulate play. She had no words to stick up for herself. I wanted the audience to like her.” But Nichols told her to stay true to the character, and if the writing worked, people would understand her at the end. Joan Castleman's composure finally breaks when her husband is lauded for his work at an awards ceremony. Close, with help from the careful machinations in Anderson’s script, finds a way for her character to end decades of silent suffering. The film sends a potent "Time’s Up" message to the patriarchy, especially poignant because Close is the one delivering it. After decades spent playing characters defined by their sacrifices, this wife won’t be shedding any more wasted tears on the husband. 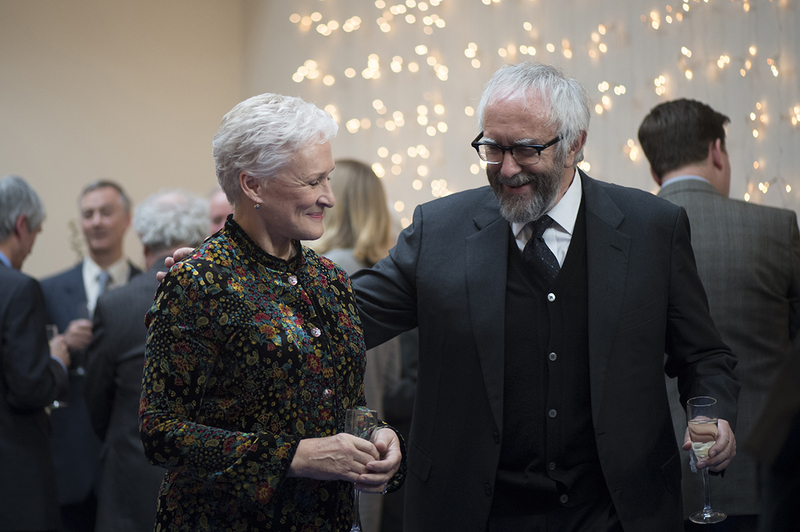 'The Wife' opens Aug. 24 at San Francisco's Landmark Embarcadero.